Good evening! Do you have any plans this weekend? We'll have a quiet weekend. Today marked my daughter's fifth full day of school this month. It's amazing how many snow days and two hour delays this long winter has given to us. The children are eager for school and their regular schedules. My big accomplishment for the week was cleaning the three bathrooms. Don't laugh. It just seems like they are rarely clean at the same time. I learned the joys of a squeegee on the bathroom mirrors and appreciated the power of my Dawn and vinegar tub cleaner. 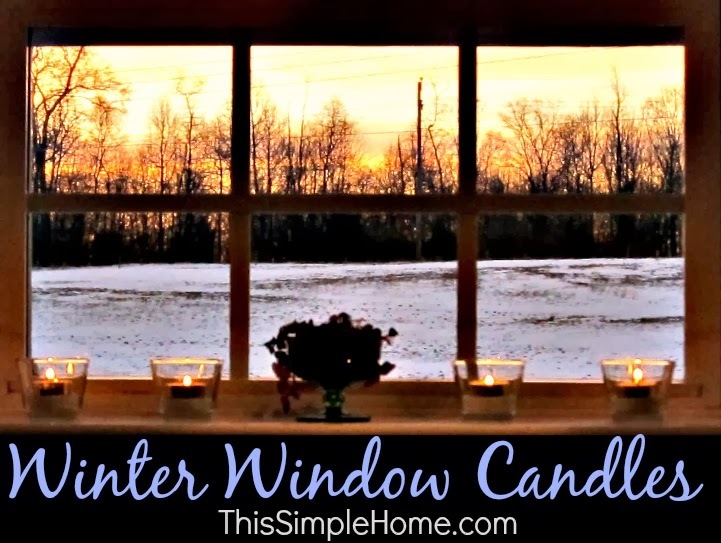 Here on the blog, I shared homemade hot pockets, some cute board books, a canning jar substitute, and the simple winter window candles on my kitchen windowsill. 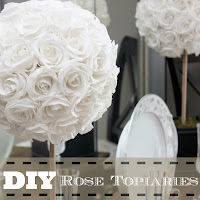 It's now time for the Weekend Wind-Down Party where you can see all sorts of fun ideas from around Bloggy World. Ideas are added all weekend long, so be sure to return! 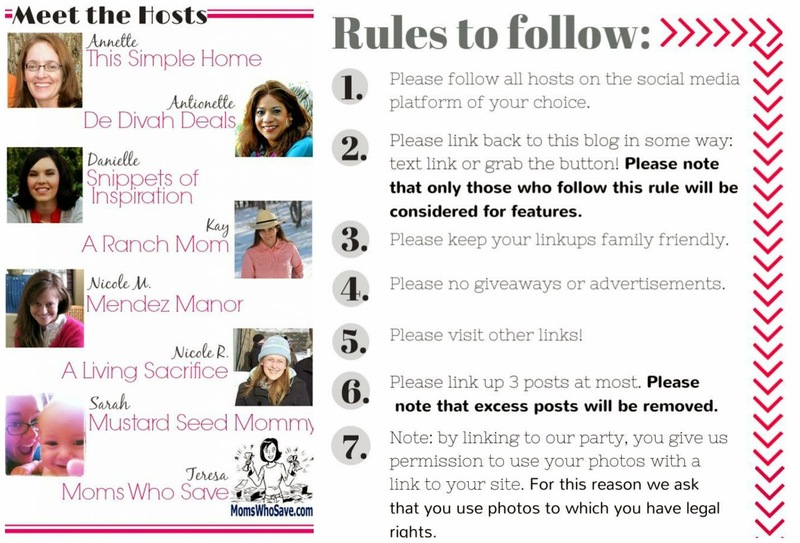 Before you add a link, be sure to meet the hosts and read the party rules! Don't forget to visit a few links! Meet the co-hosts of the party! To be eligible to be featured, be sure to link to the WWDParty in your post or on your blog! I have a date night tonight with the hubby! After that we'll have a relaxing weekend with our family. I hope your weekend is great! Thank you for hosting! Ooo! What did you do on your date? 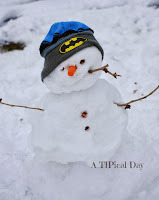 Thanks so much for featuring my post on fun things to do in the snow! So excited! This weekend I plan to take a few loads to Goodwill. Purge is the name of the game for this weekend! They really were great snow play ideas! I'll continue to pray for you and the baby as I know what it's like to have a child with medical concerns/disabilities, mine is now 21 years old - God is Good! Thank you, Antionette! Medical prombles are never fun, but you are right. God IS good!